UPDATE: I’ve added a comment received after this was first posted. Sorry for the lack of updates here, but I started this blog to follow a ship build, which unfortunately came to nothing. I didn’t create it to follow a rail “museum”, which is currently what the Harwich mayflower Heritage Centre/Project are promoting. So as the ship build is dead in the water and there is no progress at all with any kind of a build, I’ve had nothing to update. The only thing I can pass on (apart from the usual directors coming and going) is that there has been a name change. The Harwich Mayflower Project has become Harwich Mayflower Heritage Projects LTD. So it would seem the debacle that was the Mayflower Project has finally been laid to rest. R.I.P Harwich Mayflower Project. Therefore, as this is now a limited company and not a charity – all donations, including those given by visiting North American tourists MUST be returned to them, as it was taken on the premise that a ship was to be built. This does not look good for the town and all the hard work that will be done regarding the 400th anniversary in 2020. My book “The Mayflower of Harwich” which is on sale with Amazon, praises the hard work that was being done when I wrote it, regarding Harwich rising from the ashes to celebrate the 400th anniversary by building a replica of the most famous ship that ever sailed. I am now very much embarassed about writing it !! So, I’m back in the UK for a bit before heading off on my travels to the states. Before I go, I thought I’d let those of you thinking of visiting the Mayflower Project during the school Summer Holidays know just what to expect. These photos were taken within the last week. No signs, no information, just a weathered piece of paper stuck to the door. Run down, abandoned, neglected, totally uninspiring and of course, no ship build. I’ll ask the question yet again: Where did all those donations go? The Trustees are aware that there are individuals who, for whatever reason, wish to undermine our Volunteers and the Charities work. This is expressed in letters to the press and in the content of the “Ships Blog”. In the words of the immortal bard “methinks you doth protest too much”. Looking for answers to questions (and not getting any) is not undermining anything. Local residents writing to newspapers and putting their point across is not a crime, nor is there anything wrong with it. Correcting misinformation supplied by The Project will not affect volunteers. 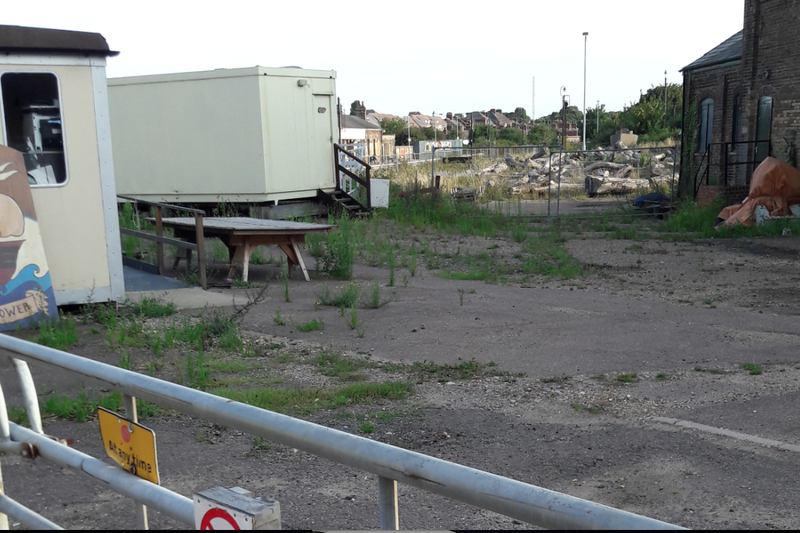 In fact, Just because several local Harwich residents have the guts to actually make a stand and ask questions when something seems amiss, it does not mean that there is some kind of vendetta to undermine the Project. What it means is that there are people who may see something that seems not right and are willing to stand up and voice their opinion, even when shouted down. 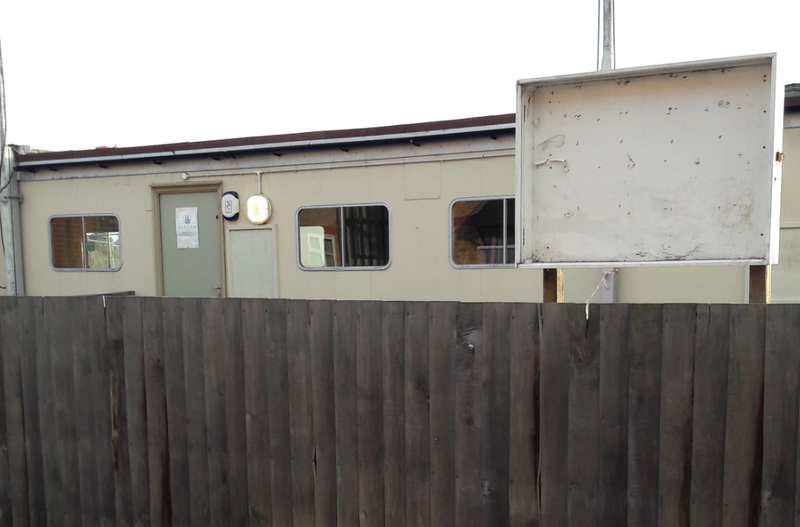 It is inherently wrong for a registered charity to denigrate the very people that they are looking to for support, the Harwich local community. Instead of being negative towards these local people, the Project should be welcoming them in and addressing their concerns and issues. They should be trying to show them that their perceptions are wrong and backing that up with concrete reasoning and facts and figures. 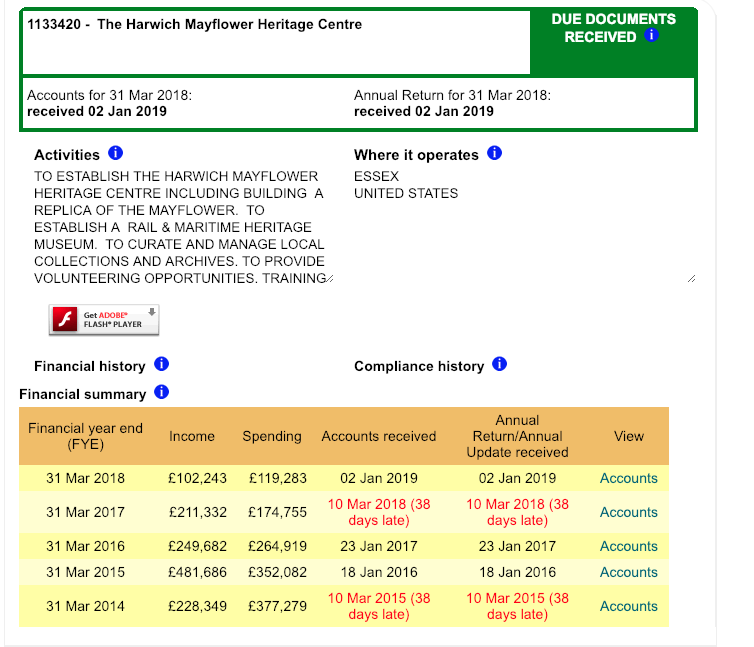 The very fact that the residents of Harwich are writing letters, trying to get answers, and submitting comments to this blog, would probably start alarm bells ringing for anyone wishing to undertake dealings with the Harwich Mayflower Heritage Project. While the Project continues to be opaque, offers misinformation and refuses to answer the most basic of queries, there will always be members of the public wondering why that is so, whether it be in newspaper print, social media or via this blog. I can’t speak for the residents of Harwich, so I’ll speak for myself: As long as my backside faces the ground, I’ll keep exposing the misinformation and fake news that the Harwich Mayflower Heritage Project is so keen to promote. The Trustees will respond respectfully to genuine complaints and criticism. “Genuine complaints”? Please note, counterfeit complaints will not be entertained in any way shape or form! Well then, here’s a genuine complaint and criticism for the Project. Why do you continually refuse to inform the local Harwich people (and others) as to what you have done with their generous donations? The donations have not gone on a ship build so where have they gone? And another genuine (not made up) criticism. Why can you not make a plan and stick to it, why do you have to make things up as you go along and continually mislead the public that have so generously kept you afloat (pun intended) for so long? The ship was going to take 36months to build (source: local press), then it was going to take 2 years and then it was going to take 2 years but not including “port visits” that no one had previously bothered to mention. Your last cost estimate for a build a few months ago was 4 million, now all of a sudden it’s 10 million. What has changed in a few months that has cost an extra 6 million? If it was “Always your intention to build a land based ship” can you please tell me where this was promoted and mentioned before now as I have scoured local press and online and can find no mention of it before this document. I await your respectful response. Here are the highlights of the Project Statement. In recognition of his unstinting commitment and generosity to the project Tom Daly has been invited to become President of the Charity. The Trustees are delighted to welcome Tom into this role. HURRAH!! I recently made a post thanking Tom Daly for all his hard work with the Project. I also said a few posts back that Tom Daly was a guiding light for the project and that Sean Day was not a suitable frontman. I asked for Mr Daly to be brought back. It would seem that someone at the Project reads the blog. We recognise that construction of an ocean going vessel is a significant undertaking and requires an investment of some £10m at today’s prices. As I stated above, why the sudden increase to 10 million? Is it because I mentioned in a post a while back that the people at Mystic Seaport estimated a new Mayflower build would cost approx 10 million pounds and not the 4 million the HMP stated? It would seem that someone at the Project reads the blog. It was always the intention that once the seagoing vessel was built another would be constructed which would remain in Harwich. The Trustees have brought forward this commitment. As I said, where was this intention made public? I mean, you haven’t just made it up on the spur of the moment to cover the fact that you wont be building a seagoing ship anytime soon… Have you? I did mention in a post a while back that I assumed the ship would probably end up being built in kit form or be a static build. It would seem that someone at the Project reads the blog. The Station buildings are to be adapted to house two significant historic collections. The Bob Clow collection of Rail Memorabilia. The Trustees are committed to listening to the local community, the regular community meetings will continue and steering groups will be established to support initiatives across the organization. Times for this will be varied to allow access by as many people as possible. Listening is one thing, acting on what you hear is another thing entirely. The last meeting was so poorly advertised that I’d be surprised if even the project staff knew when it was! I have always said in this blog that the Project needs to be more transparent in its dealings, and pay attention to the local community. It would seem that someone at the Project reads the blog. (Again!) Look guys, let’s cut out the middle man, why don’t you just ask me what direction you need to take, because it seems I can see into the future! I received an email this morning from a gentleman and his family from the USA. It turns out that I had given them a guided tour back in the day and they wanted to thank me for keeping them updated on progress (or lack of it) via the blog. This of course put me in a quandary. When I lived in Harwich, I was caught up in the romanticism of building a working replica of the Mayflower and became a volunteer and guide. Anyway, I gave dozens of tours and spouted the Project line, while in the process of garnering lots of donations (as I was told to do). 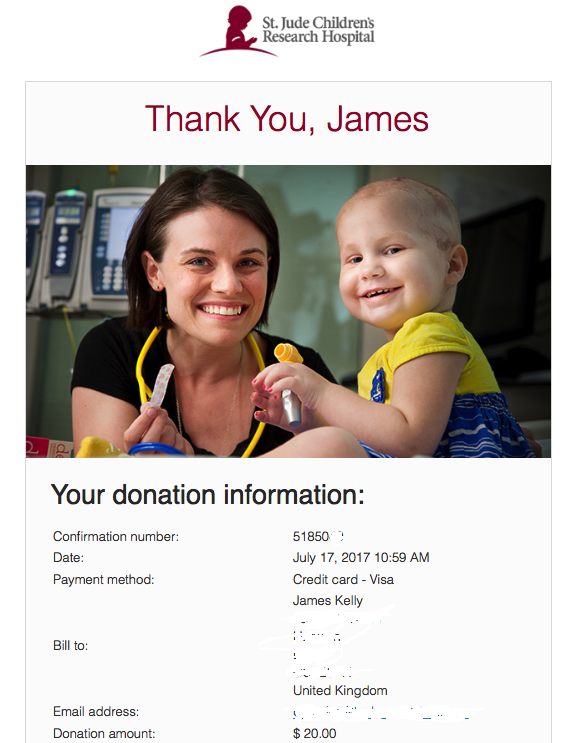 Now, I have been to the US several times and have had cause to be aware of St Jude hospital for children and the amazing work they do. Long story short, we agreed that I would make a donation to this wonderful charity as an “apology.” 😉 So in the interests of openness and total transparency, and to you Mr W and family, here’s that donation! As you can see there is a list of comments from readers of the blog over there on the right, and they are well worth a little read if you have time. The latest is as follows from “A resident” and refers to the recent community meeting. Does anyone have any feedback on what happened at this meeting? Being a totally transparent and responsible charity, one would assume that there would be something on their website, or social media, even a little “thank you to those who attended”. But as of this post, I can’t find anything at all. 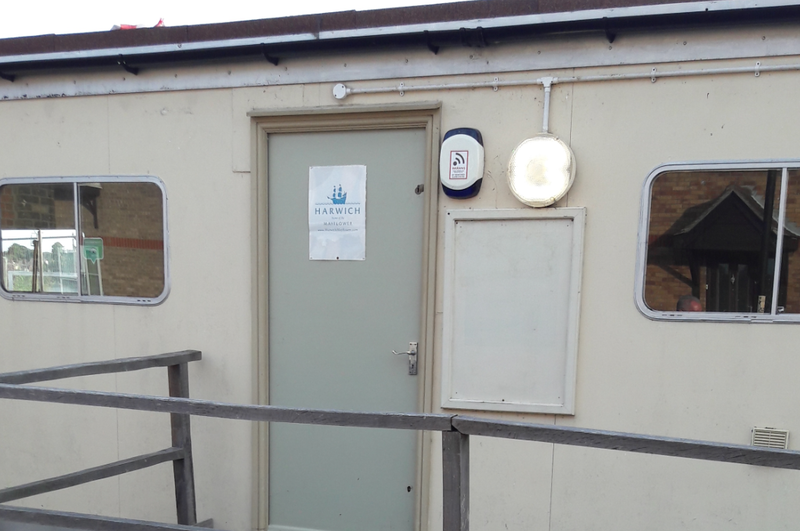 Just heard from Mr Tony Elliston that the next HMP community meeting for everyone in Harwich and beyond to visit the Project and raise concerns, or just ask questions or queries, has been pencilled in for 11 July at 9.30am. My reply is below. You’re having a community meeting at 9.30am on a weekday again? Can you please explain the reasoning behind that? Why have a community meeting when most of the community will be at work, and those who don’t work will be looking after families, or be at school, or college. Surely you want to see (and hear) as much of the local community as possible? Surely you want as many opinions and comments from the good people of Harwich as you can get. Come on, work with me on this, prove to me and the people of Harwich that you’re the man I think you are, and have your next (and every future) community meeting at 7.30pm in the evening. NB. My original reply did say “..who don’t work will probably be in bed”. A very poor and sleepy assumption on my part at nearly 4am, so with apologies, I have corrected myself here. I’ve also added “every future meeting” as well for clarification.